The TU went on down to the UVa lawn today to watch things play out between the Board of Visitors, Teresa Sullivan and just about anybody else who has an opinion. When asked by a former student why we were there we didn't have a quality response. I went with "stickin it to the man" while Steve had something about the "power of people and decisions in a vacuum." While most of the happenings seemed scripted it was neat to watch things unfold and they did so in a remarkably rapid manner. After what can only be described as a seriously ill conceived maneuver, Teresa Sullivan was reinstated by a unanimous vote. But not before just about everyone said they were sorry for something. No doubt most of the moves took place behind closed doors well in advance of today but that should not lessen the significance of what transpired. Sullivan will still face the sane daunting challenges we have all been made aware of but she will do so with a mandate of support from the community and likely a renewed faith in the University's ideals. We will share more on today's outcome and the events as a whole but for now we will let the pictures tell the story. If you wish to add your own caption, funny or otherwise, feel free to do so. The whole world is watching...maybe not. Nobody frames a protest sign like the TU. Shade was key during the actual meeting. When word spread of a decision people scrambled for a good spot. The TU had cameras everywhere, even far away. Can you find Waldo? How about Turner's hair? Can we get a guest post? And why is the girl behind the notepad staring at us? I thought Turner's speech one-upped Sullivan. Knowing your are not smart allows for a keen insight to the world around you. The time and mental energy wasted in trying to apprehend day to day events and happenings can be focused elsewhere on things like grading or connecting current events to curriculum. If not there this energy can be used in other pursuits such as watching TV or fishing. The true benefit of accepting your own ignorance is you are always on the lookout for people who "get it" and are primed to absorb their words to make yourself smarter. Why beat a path through the woods when you can fall into the slipstream of great minds. Learning me a book. Smart People should learn some too. 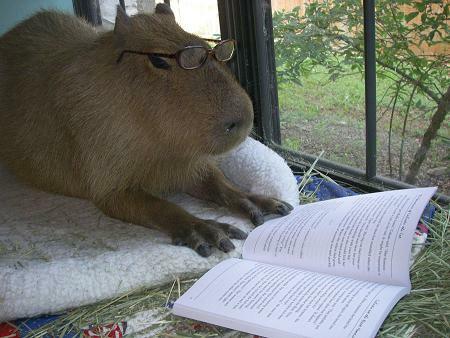 That involves reading stuff from smart people. The beneficial side effect is you end up reading a lot which I suppose counteracts the not so smart thing. When that is not possible reading helps provide a clarity of thought when you are immersed knee deep in what you are thinking about. In this case, school. Finding readings that deal with teaching is a constant challenge and usually a further drain on an already depleted mental energy reserve. They tend to be heavily laden with either speculative conclusions or are far too academic to be of much use. So instead I sometimes delve into material concerning the state of teaching and education in general. Seems quite a few of these author's conceal the fact they have little to do with or background in.... wait for it..., education. A diverse range of views is usually helpful but one realization is that there are an abundance of these smart people out there who don't "get it." I have found identifying them here in our semi-satirical effort fulfilling and perhaps gratifying in a not so healthy way. It is a far simpler effort to find things from people I disagree with. They are everywhere. I suppose most people feel this way but I am a remarkably agreeable individual. This healthy pool of folks that are too smart for their own good are not shy with sharing their views and worse imposing them. Be it a result of group think, strategic dynamism, or just poor judgement it seems far too easy for smart people to behave in not so intelligent ways when dealing with or directing education. Think of it as Daniel Snyder running his NFL team. The results are not always good. I define this as whenever they do something I disagree by the way. I like to justify this with my "pauper's wisdom". Not so much granted by financial depravity(Teachers like to harp on the fact we have this) but by a foundation of understanding granted by remaining "just a teacher," feet firmly planted in the classroom with my students. I am poor in knowledge of the theoretical world of education but rich from time spent face to face with students actually learning. I am not omniscient and know my views should not always be seen as correct. I make mistakes and am wrong about plenty of things. My station in life has taught me listen to help avoid this whenever possible. I also know decision makers are far too confident in their own actions and don't listen enough. I don't always like what I hear but the only way a not so smart individual like myself can navigate this landscape is to try and find some humor in it all. Oh...and read a bunch. Reasons vary as to why people look to misguided interlopers rather than trusted and seasoned professionals. So here are some things I liked that made me both smarterer and also smile. It has been a busy week. 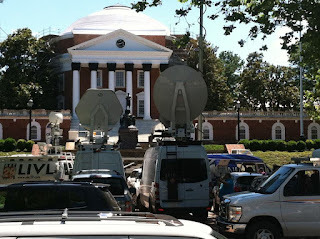 The UVa situation has continued to spin and one parallel that haunts the future of K-12 Education is how decision makers and those affected by those decisions often see the world through a different lens. The disconnect too often leads to frustration, confusion, even anger from both groups of people. Maybe the higher ed folks could benefit and learn from a look down into the same schools that provide them with most of their clientele. We are more often forced to bridge that gap and work together. As we all travel forward and reshape education of the future we must remember that we are all actually here for the same thing. What should and often does unite everyone in K-12 is the mission of serving all our children. This road usually gets bumpy and some people even get run over. But we are in it together and we forget this at our own peril. Our sometimes conflicting views should be a source of strength. One difference that does exist is that division wide employees usually work 12 months and teachers 10. Consequently decision makers might focus on ideas and developing long term improvement goals but doing so in a degree of isolation. While most teachers spend summer throttled down recovering from the past year allowing time to energize for the one that is approaching. Many teachers use this time to retool and better equip themselves as professionals. Some take classes, some plan units and I have spent the past the three days at a division-wide conference. Curriculum Assessment and Instruction(CAI) brings county teachers from all levels and schools together and tasks them make long term visions a reality. The last time I attended CAI 4? years ago these conversations were cenetered around talk of SOLs and AYP in an effort to define quality instruction. SOL talk was noticeably absent this year and we were developing different things. The goal this summer was to create and polish Performance Assessents to measure a range of the county's "Lifelong Learning Standards. " These then provide additional and more balanced ways to see where kids are with skills and content and how they are progressing, beyond objective quarterly assessments and the SOLs. That was where our efforts were focused for three days and I had the privilege of spending time working closely with teachers and leaders from other schools, something that is rarely afforded during the busy school year. There we all were trying to turn theoretical ideas into tangible things. At times it was frustrating, confusing, difficult but also rewarding,worthwhile and even funny. We voiced differences and concerns and navigated in a positive direction. Some of the products no doubt will exceed expectations and other may fall short. But for 3 days there was a unity often lacking in the us vs them world. Make a large donation, name a building. This bring us back to the situation at UVa where us vs them might not go far enough in describing the polemical debate taking place over Teresa Sullivan's ouster. 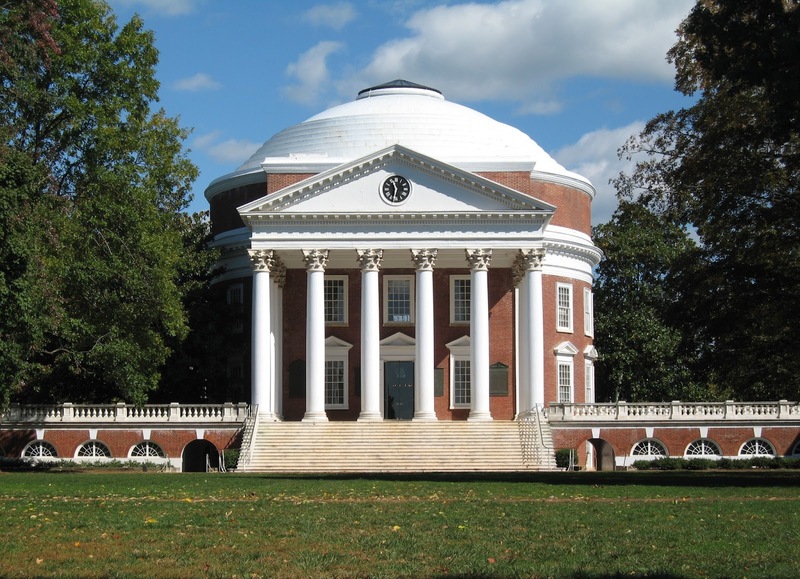 We touched on the money and online education trail that are potential aspects and this week also saw major UVa donor Paul Tudor Jones weigh in supporting her removal. 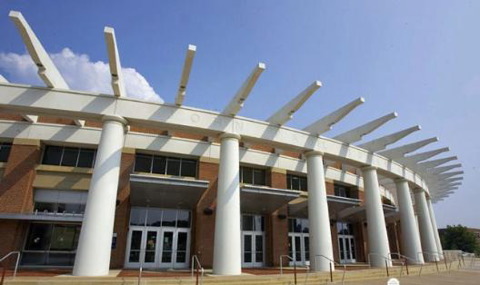 Then the interim President stated he does not support the boards removal of Sullivan This was followed by a lengthy and long overdue public response by Board of Visitors rector Helen Dragas that included the Pseudo apology "we did the right thing, the wrong way. For this, I sincerely apologize." 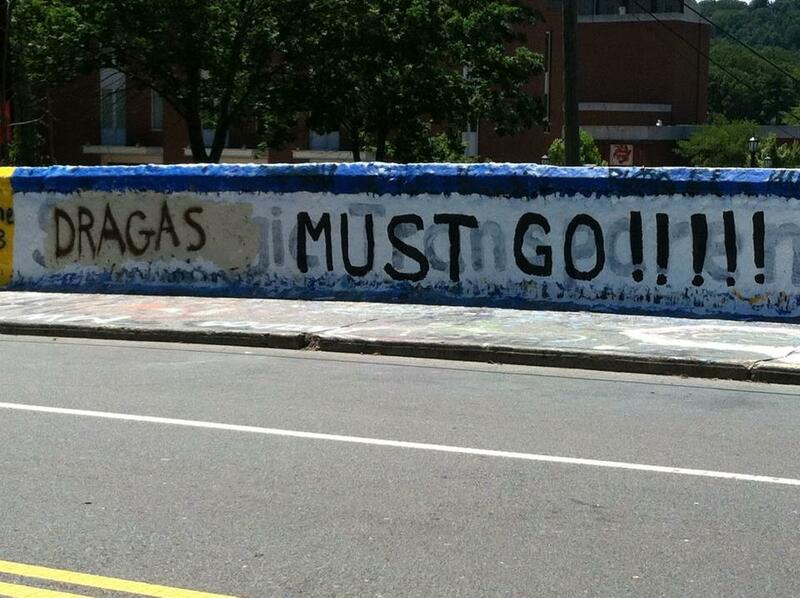 Bloggers were quick to link this to a PR firm now working with Dragas and the Board have been working with. Meanwhile no sign of stabilizing of the states portion of funding which is now around a meager 5-6%. So what is really at the core of any disagreements? And now news that the Board will be meeting on Tuesday to potentially "reconsider" its decision and re-instate Sullivan, assuming she would accept. Like I said, busy week. These are not so much symptoms of change or a failure of leadership. They are side effects of the tensions among the players that shape the world of education. What appears to be missing t UVa and often across our nation is common and collegial conversations about what is good for students and then moving forward. Those lower down can suffer from short sightedness from focus on the real work of education. Those higher up often farther removed and lack understanding of what things mean on the ground. In defense of teachers and those lower down any missteps there are far less disruptive and damaging. The CAI conference closed with some reflection on and discussion of leadership, charges as we move start the year, door prizes(thanks!) and even some dancing. We now break for the summer before moving the challenge will be moving everyone that did not attend forward. I will steal a quote from the closing presentation at the conference which I think is fitting. In the meantime we'll keep an eye as things across town continue to unfold. "I could tout my degrees, grade-point averages and certifications, but if I didn't have a genuine love for students, I would be nothing in the classroom." Jennifer Walker 2008 Ohio Teacher of the Year. For Profit Education to Blame? 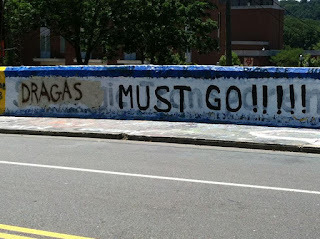 As we continue to digest and react to the happenings on the grounds at the University of Virgina the fallout continues. After the epic 12-hour Board of Visitors Meeting naming McIntyre Dean Carl Zenthaml as the Interim President, the Vice Rector Mark Kington and noted professor Bill Wulf have announced they are leaving. 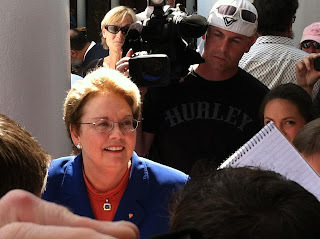 It is hard to imagine Helen Drages would be reappointed in 2 weeks by governor Bob McDonnell. The Daily Progress reported today that the potential fact that when Sullivan's became an obstacle to a plan to partner for online learning, her fate was sealed Hmmmm? Forgive me for thinking this is the most plausible explanation for the whole debacle. You draw your own conclusions but there appears tat the very least to be a lot of people writing letters. Imagine though what the for profit giant Education Management Corporation would stand to gain by securing their place in developing UVa's online presence. EMC's growth strategy is to tap into public and private education funds through UVa and like my colleague stated this all just fits too nicely. In short For Profit Education(K-12, Apollo Group, Bridgeport, et al.) needs markets and colleges(and public schools) are those markets. Peter Kiernan, Darden School Board of Trustees Chair who resigned a short while into all of this, was closely tied in and coincidentally a former partner of Education Management Corporation(and Goldman Sachs), a company in which Goldman Sachs acquired a major stake. EDMC is “one of the largest providers of private post-secondary education in North America." Can't blame business people for doing business, except when they do it in the manner many now suspect. Set aside the merits of Online Learning or the fact we have business people not educators weighing the merits of such programs, the basic problem remains that if is there is a sliver a truth to any of this money and profit has become a poor substitute for why we have schools and learning institutions. When education becomes about money and private financial outcomes we are destined for bad things. To bring it full circle we cannot judge this as good or bad unless we shine a light upon all the shadows. By contractual amendment Sullivan can only speak out so much on this and is prohibited from making disparaging comments. So someone else will have to help piece this all together. It does appear to be about business. And based on public response to what has transpired here, most people agree this is no way to do business. Helen Dragas and the Board of Visitors are framed as the villains but that might be overly simplistic. They might be, this exact lack of response was responsible for Jefferson's most famous work. He preferred to be remembered for the founding of UVa. The TU does not necessarily think online learning or virtual education is bad. 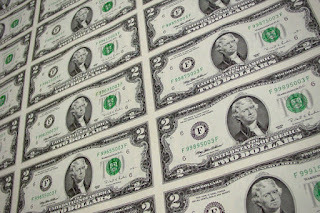 Nor do we dislike money. I don;t even have a problem with most rich people. :) It is the for profit aspect that is troubling. These are public schools and institutions and part of the public trust. They are intended to serve the greater good and not the bottom line. Once we hand them the keys will we be able to take them back? I can live with selling naming rights to a rest stop but not sure I'm OK with sending my kids to State University of Inc.
Make too much sense? Read what you want, believe what you will, I am not alone. Check out this UVa Alum and current Dukies theory on these things. She dialed her theory in back on June 13th. Love to hear some other thoughts on this. PS I have never seen Sasquatch, a yeti or skunk ape...yet. In the previous post I said that "as more information comes to light things smell worse." That appears to have been a bit of an understatement. In the past two week there have been quite a few developments. Locals are well aware of them since the developments are hard to escape. 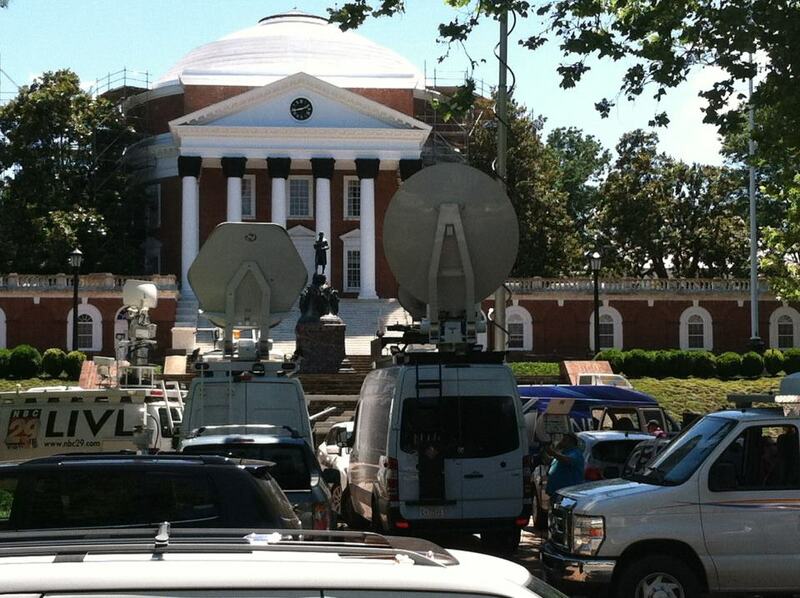 Every media outlet is following the happenings and all this is the talk of the town. Far beyond the town actually. Arguably among the premier state higher learning institutions in the nation none of this is good news for the Orange and Blue. People care what happens and we are all anxious to find out exactly what will come of or from these events. Beyond the "resignation" of President Teresa Sullivan, the tumult has claimed the Darden School Foundation’s Board of Trustees Chairman who also resigned. It has seen the Faculty Senate, Student Council and local legislators all weigh in with their disapproval and calls for more transparency. The Board of Visitors has for the most part remained relatively quiet but is meeting today with the purpose of selecting an interim leader amidst tremendous controversy. What the future holds will probably prove even more unexpected than what led us here in the first place. As events unfold and more information comes to light, rest assured things are likely to smell even worse. And that means bad things for the prestige, respect and strength of UVa. I suppose it is fitting the capitals on the columns on the Rotunda that is undergoing restoration are shrouded in black. It has endured fire before when it burned in 1895 but the scars from this firestorm might be harder to heal. This article from the Daily Progress does the best job explaining all the details. 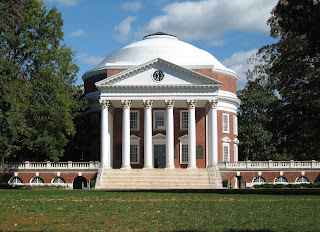 More than the Rotunda is undergoing major change at UVa. You may be aware that our home base at the Teaching Underground is in Charlottesville, Virginia. The University of Virginia is no doubt, among the best things about living where we do. The University is dear to the TU, one of us attended as a student and well, one attends as a sports fan. But our lives and our community are enriched and blessed from its proximity to this great institution. That is why we were troubled to learn Sunday June 9th that an E-mail from University Rector Helen Dragas ended the tenure of current President Teresa Sullivan. It remains unclear at this point as to what specifically brought this about. But the power players who pull the strings at UVa were clearly displeased with something and made Sullivan's tenure remarkably brief. Maybe she moved too slowly, maybe too fast. What's for certain is that as more information comes to light things smell worse. 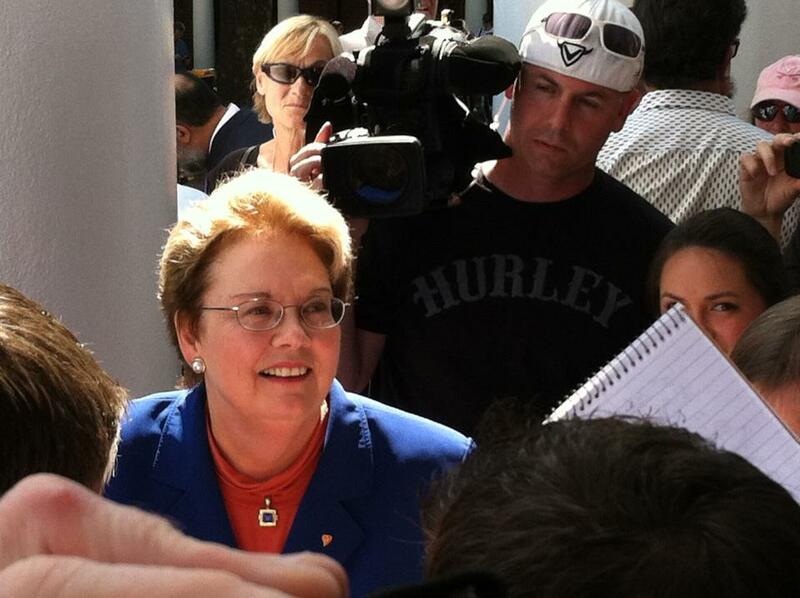 Sullivan became the 8th University President back in August 2010(the office of President was not created until 1904). I will refrain from speculation but the primary stated reason of "philosophical differences", quoted by Dragas from Sullivan's resignation letter, seems woefully inadequate and should give us pause. Philisophical Differences...really? Fired or removed or forced out or resigning, on a Sunday morning forcing an impromptu Board of Visitor Executive Meeting? Something in the system has broken. A change this large should not happen in this way at all. The praise for President Sullivan has poured in from the governor(who apparently supported her ouster when informed by the board), local media, members of the academic and business community, yet Sullivan is out. Why and how can a shift of this magnitude occur with no public understanding of the process? These are trying times for large public universities around the country. They are not immune from the same issues that plague our K-12 public schools. Education is transforming into a much more business like landscape and struggling to define itself as we move forward. It would seem fair to conclude that the individuals making these decisions are to a large degree beyond the reach of the average stakeholder. Barring an issue that required privacy I think that the Board of Visitors is obligated to provide more information to all of us who love the University. Pressure continues to grow for more details but only time will tell whether this happens. But it must. How else are we to judge whether or not this is a good or a bad thing. No matter if the change is good or bad in the long term, it seems a sign of the times and I for one think it is an ominous sign for the future and stability of our educational institutions. I had heard Sullivan's name in many corners of life around town over that past 22 months. One in particular resonated with me. It was when I heard her comments regarding the Penn State University scandal as we all struggled to come to terms with what had transpired. I wanted to share some of her words as they caused me to reflect. The phrases that stuck out to me are in bold. You can read the complete text of Sullivan's speech here. "We are entrusted daily with the sons and daughters of this Commonwealth and other parts of the world, and we are entrusted daily with the care of patients and their families. We must ensure that we subscribe to the highest values in our interactions with anyone’s children. What is true of our faculty must be true of our staff as well. In doing my own search for the COO and the Provost, I was especially attentive to the issue of character. Both Michael Strine and John Simon are stewards not only of our assets but also of our mission. I do believe that tone at the top is important, and I have sought to send a message to this community that respect for the individual, doing the right thing, caring for one another and making every decision with consideration for our values are how we will do business. Not everyone will agree with how I enact these values. There are inevitably conflicts between individuals, or disagreements about resource allocation, in which each side will claim that their position is the righteous one and I have been hypocritical. That is why we need good processes. A good process leads to good decisions because it requires us to call to mind the important considerations that precede the decision. A good hiring process leads us to consider values such as expertise, diversity, and character. A good personnel evaluation process leads us to offer honest feedback about an employee’s performance, just as grading gives us an opportunity to provide feedback to a student. Finally, individuals may fail and processes may fail. That is why we need good systems." We must never forget what our true mission is as educators. Whether a teacher's aide in an elementary classroom, high school teacher, a college professor or a member of a Board of Visitors at a major University, the more we stray from the reason we are here, the more troubling things are likely to become. We must move forward but must never forget why and for whom we came to be educators. The farther you are from those affected the easier that is to do. The end of the school year is always a season of change. Refrains by the Byrds or David Bowie, both convey how change is as constant as the passage of time. The basement weathers this phenomenon too as the faces shift and change with the school years. We ourselves are relatively new having only been fixtures for a decade and a half give or take. The TU sees the basement as blend of cool and unwanted. It appears the basement is unwanted as this year we are saying goodbye to one of our own who has chosen to willingly depart. It does happen, but not that often. In truth this guy has kind of always been an interloper. But in time he became like one of us, an oddball that fit in below ground. In most cases people leave the basement with good reason. Retirement, transfer, quitting, school realignment and even mental illness have taken staff from our midst. But it is rare for anyone to just "up" and leave. So we thought it worthwhile to talk a little more about the basement and explore the rationale within the mind of one who chooses to leave. Throughout its storied history the basement seems to have been predominantly male. It has also been occupied to a large degree by history classes. Up until recently, math shared the space, but no more. The six rooms, all about equal size are all now social studies classrooms. One room has an small office(or antechamber if you are a spelunker), mostly for storing dust and mold. There's also a pair of bathrooms and a set of small utility closets just for looks. The basement has always been as much a state of mind as a place. Students and teachers just seem more laid back when in the basement. Life happens a beat slower. But that is not to say nothing goes on. It has a storied history which those of us who remain are proud continue. The same teacher that gave me the low grade I deserved in the early 1990s as a student, hired both members of the TU a short time later. Since then we've taught with a handful of staff members who thought better of the location and moved on. Reasons vary but several left the profession(coincidence?) 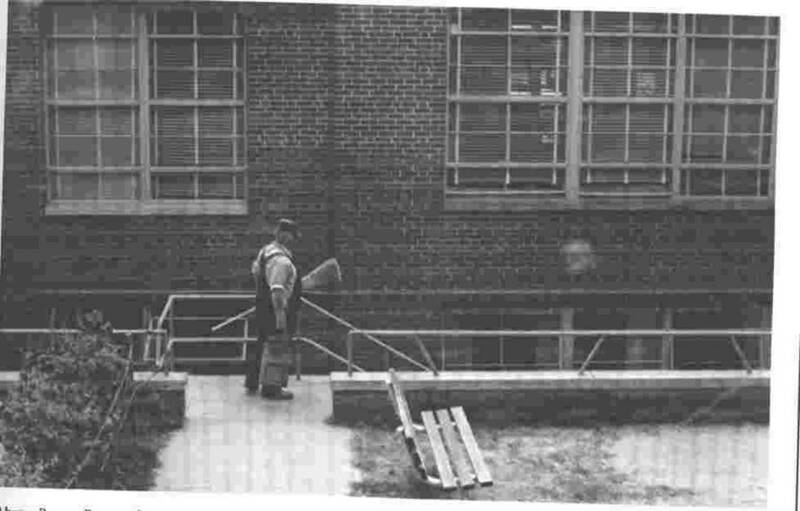 and others left the area while two longtime teachers retired. Some pretty amazing stuff happens in the basement. Beyond the amazing teaching(shameless self promotion) and antics, a government class once hosted the famous 1972 "faithless elector". 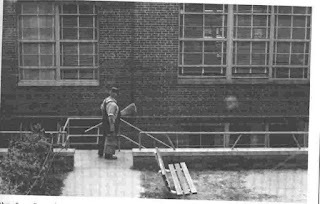 We've been visited by state officials, housed sports banquets, been flooded, had Friday hall parties, witnessed the exceedingly rare student altercation, seen chair races, featured a rousing game of wallball, offered shelter from tornadoes, endured earthquakes and countless foreign language class dances above (all of the last three are actually indistinguishable from each other.) Doing the math, the TU members alone have taught about 3500+ students. That would mean that in that same time there have been roughly 10,500 students who have taken a class down here. So why would anybody leave? Our departing colleague may simply feel more welcome or happier above ground. He may not like the smell, mold, humidity, lack of sunlight, creatures, or secluded feeling. We remind him of the smells above ground that await him on the American Studies Hall. Maybe it was just time for a change. He could hate us. All interesting theories. We think we know the real story. Beginning several months back this individual began an all juice fast and has not been himself since. While he has lost weight, claims to feel rejuvenated and generally seems healthier, we've seen some different side effects during lunch. We do the same thing everyday. "Don't drive angry." Gone are the discussions about best practices, eliminating poverty, and the joys of teaching. Replaced by incessant banter about beets, kale, and rutabaga. 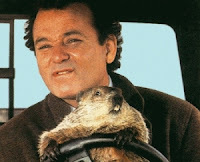 While not so bad at first it now feels like we are imprisoned on the set of Groundhog Day. The vibrant, intelligent, driven man is no more and all that remains is the shell of an individual who's brain has perhaps turned to mush...or juice. That said, he is a great teacher and will be missed. Even though he will just be upstairs, it won't be the same. The faces may change, but the basement remains the same. 1) You only work nine months out of the year and you get paid all year. Most teachers are on a two-hundred day contract. They may accept payment over a ten month period or opt to spread the ten month pay over twelve months. The option is either a smaller monthly paycheck or two months a year without pay. Twelve month administrative employees probably have about 241 days of expected work. (365 minus weekends and four weeks of vacation) If the average Superintendent salary is $125,000, that’s over $500/day. If they work at least twelve hours a day, that makes an hourly wage of $43.00/hour. At ten hours a day it is over $50.00. 3) Unions make a big difference in the quality of education. Some states have strong and vibrant unions, others prohibit traditional unionization through right-to-work laws. Yet even in right-to-work states anti-union rhetoric rears its head. There are enough of both in the United States to make comparisons, and so far, no good evidence to show that unions have much of a positive or negative impact on student learning. Placing blame on unions diverts attention from the real areas of education in need of change. 4) Those who can’t, teach. 5) Anyone who can, can teach. Teaching requires more than a particular knowledge or skill in a given field. In well respected Universities, the most esteemed academics in a given field share their knowledge with motivated students who have already shown an ability to learn. Those same esteemed academics may struggle greatly with a group of young students who are lacking an intrinsic motivation for the material. An excellent instructor with minimal knowledge of biology will get much further with a group of fourteen year-old at risk students than Charles Darwin himself would have unless he developed his skills as a teacher. Myths aside, I enjoy the weeks I have in the summer to spend time with family and friends, or just to take care of day-to-day things like doctor’s appointments and car oil changes. I may even spend a little time preparing for the year to come. It’s not as easy as some may think, but all-in-all, teaching can be a satisfying and rewarding profession. In sixteen years, I’ve always looked forward to my time off starting mid-June, but I’ve also been excited as well come the beginning of August when thoughts of a new school year draw near. Here at the Underground, 2011-2012 came in with a bang, but with 177 days down and three to go, soon it will fade into history. Thanks to our followers and best summer wishes to all. We’ll keep posting from time to time this summer and we hope that you’ll keep reading.